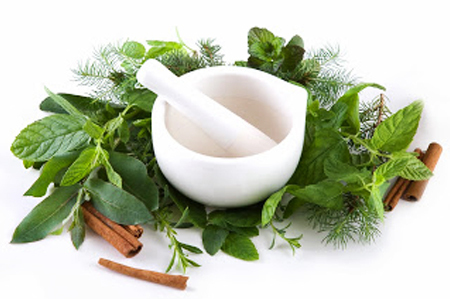 Naturopathic Medicine is truly a unique blend of modern scientific research combined with the art and wisdom of traditional and natural forms of medicine. It is deeply rooted in the belief that our bodies possess the ability to heal itself. Naturopathic Doctors structure their interventions in order to stimulate the body’s innate healing, using gentle non invasive means. Each individual will receive a unique tailored treatment plan designed to meet your needs, taking into consideration the physical, environmental, mental-emotional and spiritual influences which are impacting your health. As Naturopathic Doctors, our first line of treatment involves the use of evidence-based natural and non-invasive therapies (such as acupuncture, nutritional and vitamin-mineral supplementation, botanical therapy, homeopathy, etc.) designed to work with the body’s own healing abilities. Naturopathic Medicine offers effective treatment for both acute and chronic conditions, however is most effective when it comes to preventing the development of chronic disease or the further progression of illness. •First of all, to do no harm. •To act in cooperation with the Healing Power of Nature. •To address the fundamental cause of disease. •To heal the whole person through individualized treatment. When Should You Consider Naturopathic Medicine? Whether you are someone that feels like they have exhausted the system with no progression or someone just simply looking to optimize your health using natural means, Naturopathic Medicine is a comprehensive approach that is designed for you. Appointment Information ~ What Can I Expect? Your first patient consultation at our clinic is up to 1 hour, in which a complete personal, medical and family history are taken. Please bring in any supplements or medications you are taking as well as any relevant laboratory results or imaging study results you may have. Your second visit involves dietary analysis and appropriate diagnostic testing, including physical exam, Chinese tongue and pulse diagnosis. Blood work, urine and hair analysis and salivary testing may also be required. The result is a customized treatment plan that includes an appropriate dietary and medicinal prescription. Follow up appointments monitor your progress and adjust your treatment plan. Visit length and frequency rate varies depending on your case and any treatments that are required. Does Insurance cover Naturopathic Doctors? A majority of patients have coverage for Naturopathic Medical Services. It is wise to consult your insurance company directly to inquire about coverage. You will provide you with a receipt containing all necessary information needed to submit a claim directly.